All vegetable and fruits carets are available as per material quality price depended. Fruit & Vegetable Plastic Crates. Use for storage vagetable & fruits. 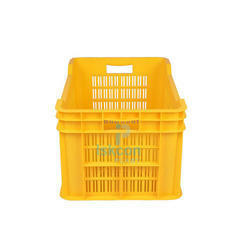 With our expertise and trustworthiness, we are engaged in offering an optimum quality range of Dairy Plastic Crate.